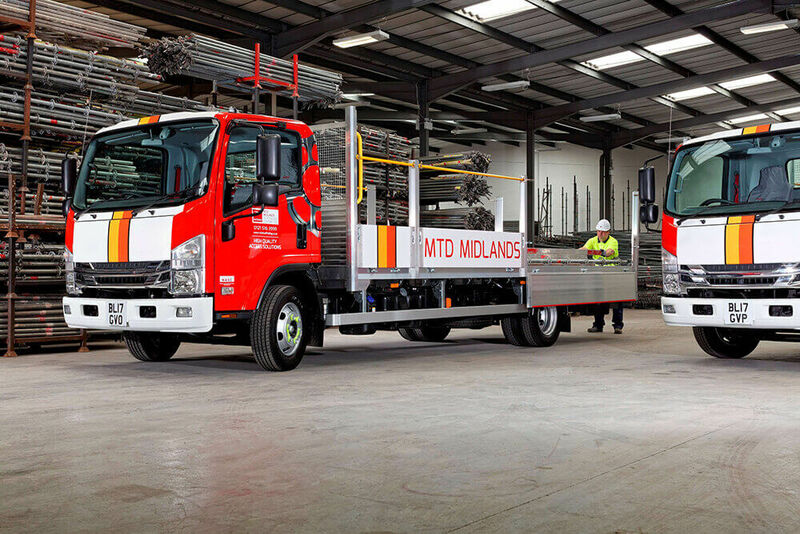 When a subsidiary of the Altrad Group, Trad Midlands Scaffolding Contractor (formerly MTD Midlands) was looking to replace seven incumbent vehicles within their fleet, the Oldbury based company decided to switch to Isuzu for the first time for this fleet replacement programme. Seven new Isuzu URBAN 7.5 tonne N75.150 rigids, fitted with aluminium drop side bodies, have now gone into service with Trad Midlands, as part of an 18 strong fleet supplying, erecting and dismantling scaffolding nationwide. “In addition, much of our work involves social housing where the street locations are incredibly tight. The Isuzu is easy to maneuver around this type of urban environment, plus the triple seated Isuzu cab Is big enough to accommodate our three-man operation” added Paul. The Isuzu Forward 7.5tonne chassis has been specified with a high spec aluminium drop side body with side guards, nearside lights, 4-way CCTV camera system, reversing sirens, pedestrian notification, and handrails around the complete body as well as an aluminium step up at the rear. 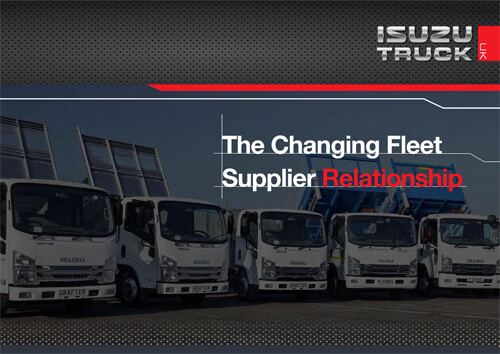 All the new Isuzu vehicles went on the road last month and were supplied by West Midlands Isuzu Truck dealer, Aquila Truck Centres at Tipton. Trad Midlands anticipates that these new Isuzus will have a five-year working life.